After the popularity of the first, Ekuanot, we’ve followed straight up with Mosaic. 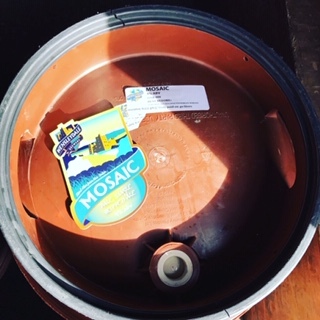 Mosaic hops feature complex but clean flavour characteristics and are known for their triple-use profile encompassing bittering, flavour and aroma. Carrying flavours of mango, pine, citrus and herbs and aromas of tropical and stone fruit. In short, this beer is super fruity, refreshing and tasty.